A US company is seeking $1 million in crowd-sourced funds for its ambitious plan to turn American roads into giant energy farms that could power the entire country. The company Solar Roadways is raising funds on crowd-funding website Indiegogo to cover highways in the US in thick LED-lit glass solar panels. 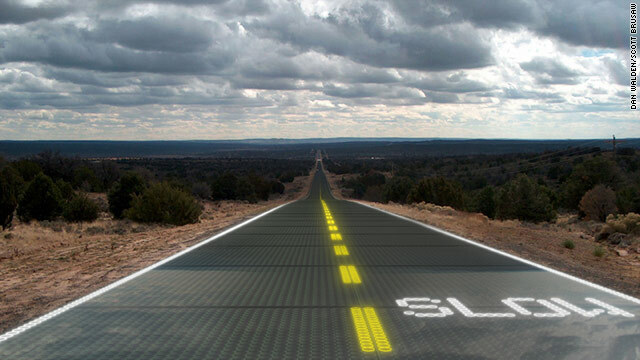 The modular paving system of Solar Road Panels can withstand the heaviest of trucks, according to the company's Indiegogo page. These panels can be installed on roads, parking lots, driveways, sidewalks, bike paths, playgrounds and literally any surface under the Sun, it said. The roads pay for themselves primarily through the generation of electricity, which can power homes and businesses connected via driveways and parking lots. According to the company, a nationwide system could produce more clean renewable energy than a country uses as a whole. They have many other features including heating elements to stay snow/ice free, LEDs to make road lines and signage, and attached Cable Corridor to store and treat storm-water and provide a "home" for power and data cables. Electric vehicles (EVS) will be able to charge with energy from the Sun (instead of fossil fuels) from parking lots and driveways and after a roadway system is in place, mutual induction technology will allow for charging while driving, the company said on its Indiegogo page.